According to the estimates of HASH Crypto Investment Bank, the value of the future Telegram cryptocurrency may reach $29.5 billion by the end of 2019. According to the report of HASH Crypto Investment Bank, the target cost of Gram cryptocurrency by the end of 2019 is estimated at $5.9 per one token. At this price, the capitalization of the entire cryptocurrency should be $29.5 billion. 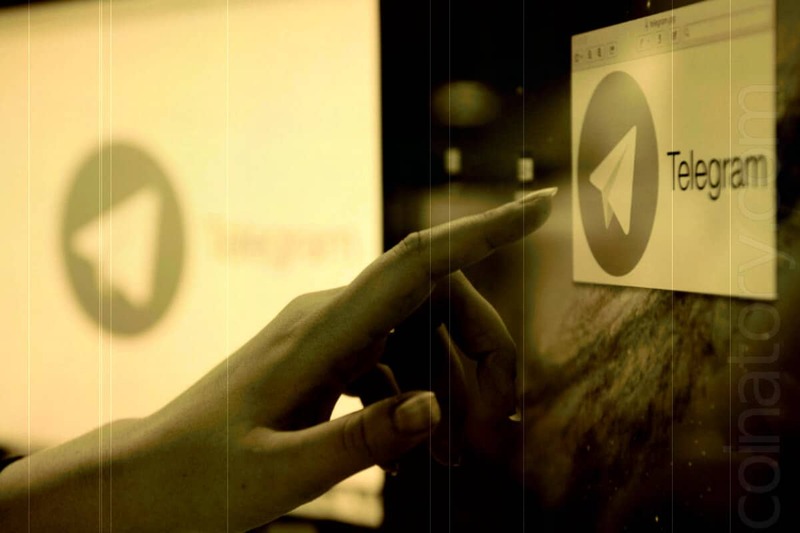 In addition, the cost of $5.9 Telegram indicated in one of the latest notes for investors, which was provided in January at the @TGram channel. It should be noted that the assessment of the Gram token of $5.9 is conditional. HASH CIB senior analyst Rustam Botashev clarified: “HASH CIB offers its own assessment methodology, emphasizing that the value obtained in their model is not a target or fair price. Rather, it is a “rational network value,” made up of current and discounted value added over the coming years. But in the note for investors, $5.9 per token is called the target price (target price) ”. HASH CIB was created by Qiwi Investment Director Jacob Barinsky. One of the co-owners of Qiwi, Sergey Solonin, in the first round of the pre-ICO of Telegram invested $ 17 million in developing the TON blockchain platform. He noted: “Our report was not a suggestion or recommendation for investors. It was intended for qualified investors who had already invested in Telegram or were interested in it. ” The report was prepared in the spring of 2018 and is based on the first whitepaper of the project, which appeared in the network. After launching the testnet of the Telegram blockchain platform, which is expected in the first quarter of this year, HASH CIB will conduct tests and update the actual data, Barinsky promised, after which the estimate of the cost of a single Gram token may change. The Gram cryptocurrency was supposed to be divided into three parts: 52% – the reserve, 4% – to the developers, 44% – to the investors. The first Gram token costs 10 cents, and each next Gram will be a billionth worth more than the previous one. In total, according to the whitepaper, 5 billion tokens will be released into the main network. As follows from the HASH CIB report, 2.89 billion Gram were sold, that is, one token was worth an average of 59 cents. The target price of $5.9 for one Gram means a rise in the cost of cryptocurrency almost ten times by the end of 2019. During the ICO Telegram was going to collect $1.2 billion and distribute them in a ratio of 80:20. Most of them had to go for equipment, traffic and user verification, less for administrative expenses and salaries. However, during the two private rounds, $1.7 billion was received from more than a hundred investors. If by October 2019 Durov did not launch the blockchain platform, under the terms of the ICO, he must return the funds to investors. Although Telegram was going to launch a cryptocurrency in March, the launch may be postponed. During February, Durov had planned to meet with the largest investors in projects, but whether the meeting was held is unknown. In addition to launching the blockchain platform, Telegram must launch sales of its cryptocurrency and increase its audience. In a letter to investors, the creators of Telegram list the countries where negotiations are being held with crypto exchanges: Japan, China and the United Kingdom. The letter says that Gram usage will start in Asia, most likely in Japan. The Japanese market is also attractive because the local financial regulator has provided the crypto sector with an opportunity for self-regulation. After the sale of tokens, Telegram intends to spend them on platform services, such as storing data in a decentralized network; DNS to access this data; proxy servers and anonymizers; payments; decentralized applications. Withdrawals will be provided by the crypto exchanges of those regions where Gram will start.